For the past couple of years we have offered a New Year’s Eve tour through our Alumni World Travel division. Several schools have offered it to their alumni and the tour has really taken off! 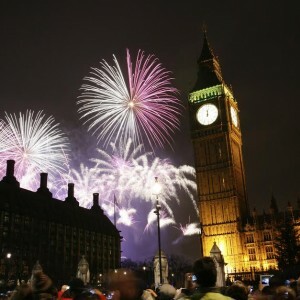 The New Year’s Tour focuses solely on London. 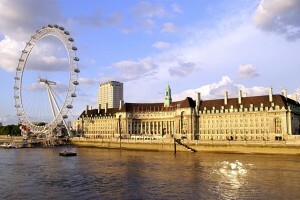 One of the things included in this tour is a private champagne flight on the new symbol of London, the London Eye! The EDF London Eye has gone through several name changes since Tony Blair inaugurated it on December 31, 1999. The Eye was unfortunately unable to open right away and instead opened to the public in March 2000. It is currently the tallest Ferris wheel in Europe, standing at 443 feet, and was the tallest in the world until 2006 when it was passed by the Star of Nanchang. The Singapore Flyer has held the World’s Tallest Ferris Wheel title since it opened in 2008. The London Eye offers 360 degree views of the city of London. On a clear day, from the top, you can even see Windsor Castle which is about 25 miles away! Each of the 32 capsules can hold up to 25 people. A full rotation of the London Eye takes about 30 minutes. The speed of the wheel allows it to never stop. Not even when loading and unloading! 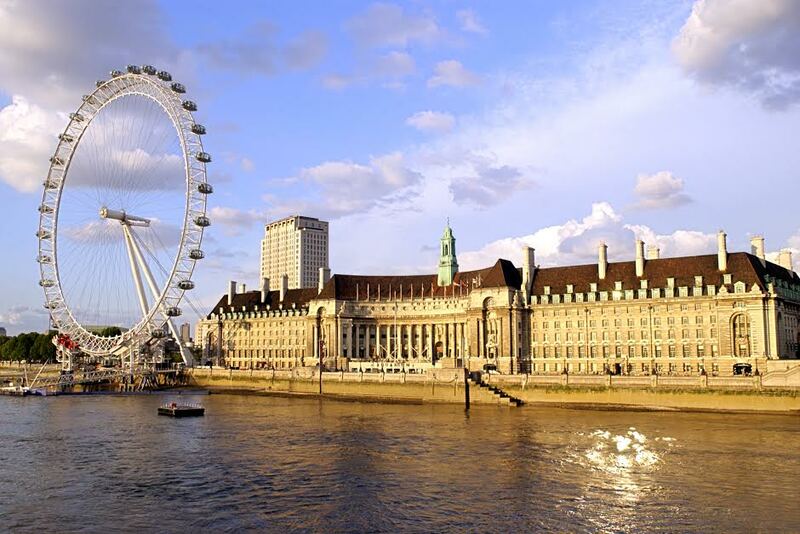 Fun fact, in August of 2013, the London Eye reached its 50 millionth visitor! Since the London Eye was officially opened in 2000, it has become the symbol of London. It was only supposed to run for 5 years but has since been granted permanent permission to remain where it is. The London Eye has been the center of New Year’s celebrations since 2001 when it started hosting a fireworks display. Sit back, relax, and enjoy the New Year! 2014 promises to be a year filled with dreams of travel! Start rewarding yourself today with an AESU trip! This entry was posted on Tuesday, December 31st, 2013	at 1:31 pm	. You can follow any responses to this entry through the RSS 2.0	feed. Both comments and pings are currently closed.